"To be honest, it's nothing so complicated. When aid is needed, we just see what's needed and do it. It's that simple. When we come across needs and find that something ought to be done, we do it. That kind of simple heart is the most beautiful, I think, and doing what needs to be done is the best way." 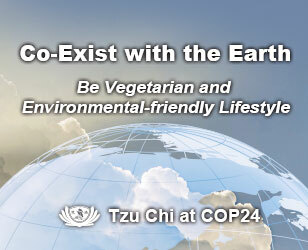 "From the very start of Tzu Chi, it was never about wanting it to become big or to achieve great things. It was just about doing what we could, trying to be of help to people in need." "For that, we need to have pure intentions and work from a heart of sincerity, integrity, good faith, and honesty. To do this, I started by asking thirty housewives I knew to donate a half-dollar coin (one of the smaller coins in Taiwanese currency, worth one US penny at the time), every day before they set out to shop at the market. The idea is to make a contribution to others without it affecting one's livelihood in any way. This is my principle." "For instance, whenever people of modest means approach me to donate a large sum of money, I always first ask them, 'Will such a big donation affect your daily living? It mustn't make life harder for you. Please only give what is within your means.' That is why, from the very start, I only asked the housewives to donate a half-dollar coin every day—it wouldn't cause them hardship; with 50 cents less to spend on groceries, they'd only eat slightly less at their meal, that's all. So, this is the concept behind donating a coin every day." "I asked the housewives to donate the coin before they went out to make their purchases at the market each day, and to keep this spirit of giving in their minds as they set out for their day. It turns out that with the act of donating fresh in their minds, they naturally started to chat with the vendor at the market and ask for a smaller portion, as their budget was reduced by 50 cents." "The vendor would ask, 'How come?' They'd reply that they were donating the 50 cents to help people in need. 'Really?' the vendor would reply. 'You can help people with just 50 cents? Then count me in too.' So, with the vendor contributing 50 cents and the housewife donating 50 cents, that's already one dollar. Actually, as the housewife went around to other stalls to buy other goods, the other vendors would respond like this, too." "This all happened very naturally. It's because the housewife sincerely wanted to save 50 cents to help a needy family. So, she'd naturally ask the vendor to give her less as she was saving up money. Hearing about the good deed that this housewife was doing, the vendor would think, 'Fifty cents is not a lot. If you can do it, I can too. Count me in.' And like this, the good deed spread." "This was how Tzu Chi started—from people giving a half-dollar coin every day, and with this spreading through the market, from person to person." "As Taiwan's economy boomed and people prospered, many started moving abroad. There was a period of time when it was very popular for people to emigrate from Taiwan. 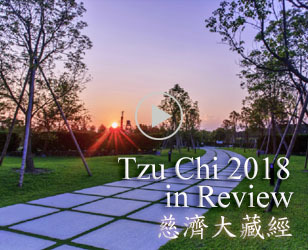 Some of those people were already supporting Tzu Chi's work when living in Taiwan, so when they moved, they brought Tzu Chi's spirit with them. Having a sincere heart of giving, wherever they are, they try to do good in their community and invite their friends to join them. So, when your heart is full of love for others, you will naturally do good and share what you do with others, and people will be inspired by you and join you or support you. That is how Tzu Chi work started in other countries." "Also, I'd tell the Tzu Chi members living abroad that the key to gaining the love and respect of others is to first love others and give of yourselves. Having immigrated to a foreign country, they were essentially living in other people's countries, using local resources. This being so, they should give back to the local community all the more. 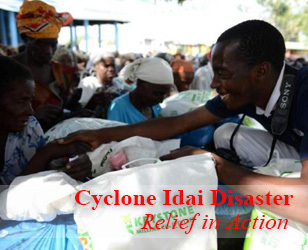 If a disaster happens locally, it is only right that they care, and that they dedicate themselves to help. I often shared this with our members." "With this kind of perspective, the Tzu Chi members living abroad would naturally give of themselves, and in times of need, step forward to help. They would also share this perspective with other immigrants, especially fellow overseas Chinese. That is how, gradually, they would carry out more and more charity work in their area of residence and eventually develop to the point where a Tzu Chi chapter would be established locally. Then, to better carry out the work, they would come back to Taiwan to learn more." "If new people wanted to become Tzu Chi members and take on Tzu Chi's missions, they would participate in Tzu Chi's training program where they'd learn about the code of conduct for Tzu Chi members, which includes the Ten Tzu Chi Precepts. These precepts consist of the traditional five of Buddhism (no killing, no stealing, no sexual misconduct, no lying, no alcohol) along with five other precepts that I have added for Tzu Chi members, which include no smoking, no gambling, abiding by traffic laws, etc. These precepts help us give up bad habits so we can become healthy physically and mentally." "Through the training process, the volunteers learn to practice these precepts. If they can truly uphold them, then their hearts will be good and kind, and they will have sincerity, integrity, good faith, and honesty. When they have a heart of sincerity, integrity, good faith, and honesty, they will not act unethically, such as using charity as a cover for making profit or self-gain. They will give unconditionally with a spirit of gratitude. Tzu Chi volunteers around the world are all like this, despite my never having traveled outside of Taiwan. It's because they take the precepts as their moral code and discipline themselves." "Being self-disciplined, we respect ourselves and live honorably. I often say that it is by being self-disciplined that we repay the grace of others such as our parents, teachers, elders, etc. That's because when we have self-discipline, those who care about us will not worry about us because we will not engage in wrongdoing. At the same time, we are grateful to have the good health and capability to be of help to others, so giving of ourselves is our way of giving back and expressing this gratitude. Tzu Chi volunteers have this kind of thinking, so they will not engage in wrongdoing and they will inspire one another to give with love." In this way, the Master shared the core concepts, principles, and values in Tzu Chi that enable its volunteers to be of one mind and work together toward a common goal, to help the newspaper Deputy Editor-in-Chief understand the keys behind Tzu Chi's international relief capacity.